Whether you need a quick braid, blowout, or full on makeup for your wedding day, Belo Blow Dry Bar will make you feel beautiful for any occasion. Located directly in the heart of Laguna Beach, Belo has the look of a high end salon, but the feel of your friendly, neighborhood boutique. Patricia Musselmen, a local stylist hailing from Brazil started Belo Blow Dry Bar in 2014, naming it after the Portuguese word “Belo” which translates to “beautiful” in English. She wanted her salon to be an edgy, yet personal place her clients could come to check off all their beauty needs. Today, almost six years later, the Belo team has succeeded, priding itself on creating an intimate experience for their clients, greeting everyone at the door with a smile and a glass of champagne. Decked out with zebra chairs, comfy couches — and an outdoor patio perfect for enjoying a drink and that famous Cali sunshine — this cozy, chic blow dry bar will make you feel at home and on vacation all in one visit. Belo’s extensive menu of services features haircuts, balayage, highlights, simple or complex updos, extensions, makeup and even quick styles for those who are on the go. Designed to be easy and fast, clients can choose their style ahead of time, whether they skim through the bar’s website, or flip through their organized Instagram story highlights. Each style is categorized by some of the most famous cities on the globe like the “London” which features a slicked back ballerina-type bun, or the “Rio De Janeiro,” a voluminous side fishtail braid. And then, of course, there’s the “Laguna,” which embodies the “City by the Sea” in a hairstyle with tousled beach waves. For those spontaneous beauties who know they want something different but don’t know exactly what, the “Jet Setter” will give an expert stylist free range to work her magic, creating the ultimate, perfect look for you. 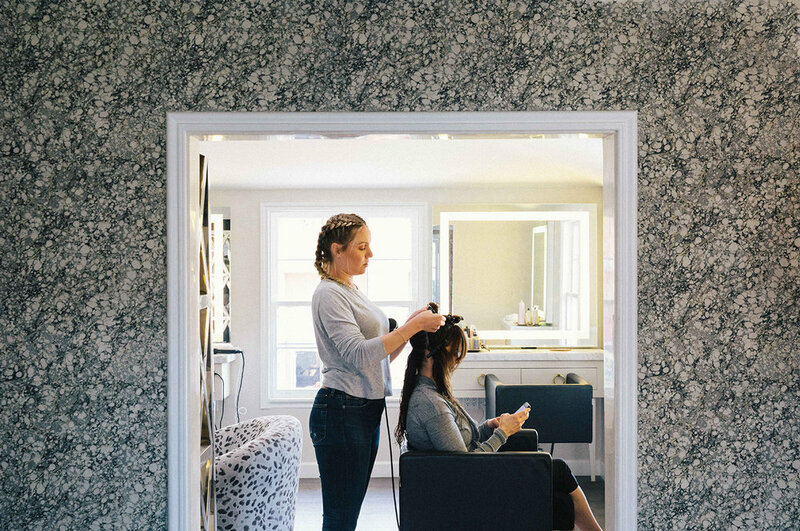 Look for one of Belo Blow Dry Bar’s pop up shops in neighboring towns like San Clemente and Dana Point, where they often team up with local boutiques for “braid bars” and special events. Anna Guilford is a journalism and public relations senior at California State University, Long Beach and a contributing writer for Laguna Beach Living. She is a lover of all things beauty and is always excited to find a new salon to try. Contact her at annalucilleguilford@gmail.com or though her website at annalguilford.com.